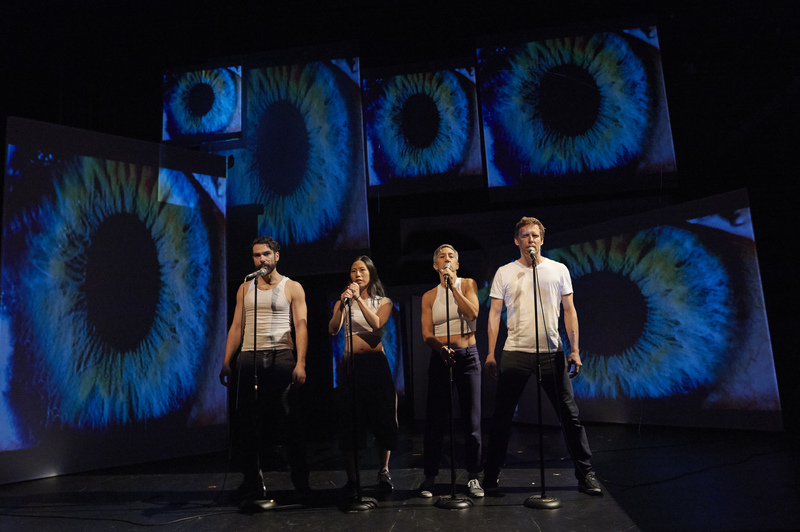 Seeing is believing in Reflector where Abraham Asto, Louisa Zhu, Michelle Polak and Michael Spence provide crystal clear resolution to optical symbols that have altered our understanding of the world around us. Does it come as anyone’s surprise that those boundary pushers at Theatre Gargantua are up to their old tricks yet again? And if a picture is worth a thousand words, cutting-edge theatre has just proven it’s worth a million thanks to an introspective multi-media event that’s pleasantly nuanced and deeply stimulating. This is, after all, an experience of a boldly different consciousness equal parts image laced and movement driven. ‘There’s a picture in my mind but I don’t know what’s behind it,’ echoes the cast in the opening scene. Projecting the idea that every moment we’re living is a reflection of the past, the photos that follow serves as an intimate lens into self. Stunningly beautiful and surprisingly refreshing, Reflector frames the story with a photographer who doesn’t want to remember, a woman who can’t forget, an internet sensation who swears she was there, and an intermediary to help navigate the trio through the visual voices that exist in their heads. With eight screens, four mic stands, and some pleasurable beat busting rhymes, it scores immense visual mileage from start to finish. The past is the past whether it’s remembered or not. And while the objective of any picture taker is to leave the viewer with the impression that one is connected to an event in which they were far removed from, Reflector is a wide open shutter for a ‘self-aware but not-quite-there’ generation.